Katrina Razavi is the CEO and Founder of Marriage.com, an investment backed internet startup in Los Angeles, CA. Katrina was the former Business Development Director for the innovative shop-through-video platform Shopflick.com. She developed Shopflick’s advertising capabilities through cultivating relationships with the top revenue generating e-commerce sites such as Zappos, Nike, Shopbop, Karmaloop, and Urban Outfitters. Katrina took some time to talk about Marriage.com and what to expect. Mike: Tell me about Marriage.com, the business. Katrina: We’re currently in startup phase, our beta will be launching this month as a platform to connect wedding planning couples and local wedding professionals. Couples and professionals have their own Marriage.com pages (i.e. marriage.com/jackandjill) where they can upload photos, information, blog entries, etc. Couples will also have access to Marriage.com expert content from high profile wedding professionals and experts from different fields (i.e. beauty, health, food, relationships, etc). Mike: You have a great domain name with Marriage.com. Tell me about the beta and when the full site will launch. Katrina: The beta will be in late December of this year and our full launch is planned for Feb 2011. During beta we’ll be focused on bringing as many signups onto the platform, using the site, giving us feedback, sharing their likes and dislikes and constantly iterating through their feedback. Mike: Can you share the volume of traffic that your site receives at this stage? Do you have any idea what the type-in or direct navigation traffic numbers are for the site? Katrina: Our current traffic volume is private, but in regards to direct traffic…about half our traffic is direct. Mike: Do you have any other marketing strategies in place? Katrina: We’re currently focused on SEO, promotions, contests, and establishing relationships with organizations and highly influential individuals in the wedding industry to help spread the word. We’re also playing with Facebook ads and banners on related websites, so we’ll so how those go. Mike: Did you have another domain for your site before this one or any other names you are using to redirect to marriage.com? Katrina: We did not purchase the name, the domain owner is our partner in the business. Katrina: I think domain name is very important to a business, it becomes an identity and a brand as well. I encourage startups to really think through choosing their domain and also be clever about it while staying true to the business. There are a lot of interesting extensions that a lot of companies are using (i.e. ad.ly) that are unique but still fit the business. Mike: What about selling the name? Is that an option? 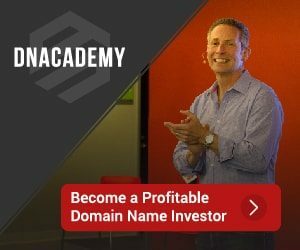 Mike: No, our goal is to really build a strong business around the domain name. We’d be open to selling the business around the domain and not the domain itself. And yes, we’ve received a bunch of offers. If you’ve visited the website, you’ll see that Ravazi and her team have done justice to the great domain name. Classy, informative site.